This is the sound of dopamine acrostics, the sound of wondrous sultry nights permeated with loneliness, the sound of the gargantuan grey of rainy mornings, the intensity and power of distraction, the chimes of loss, the jostling gongs of creativity—it is many things. 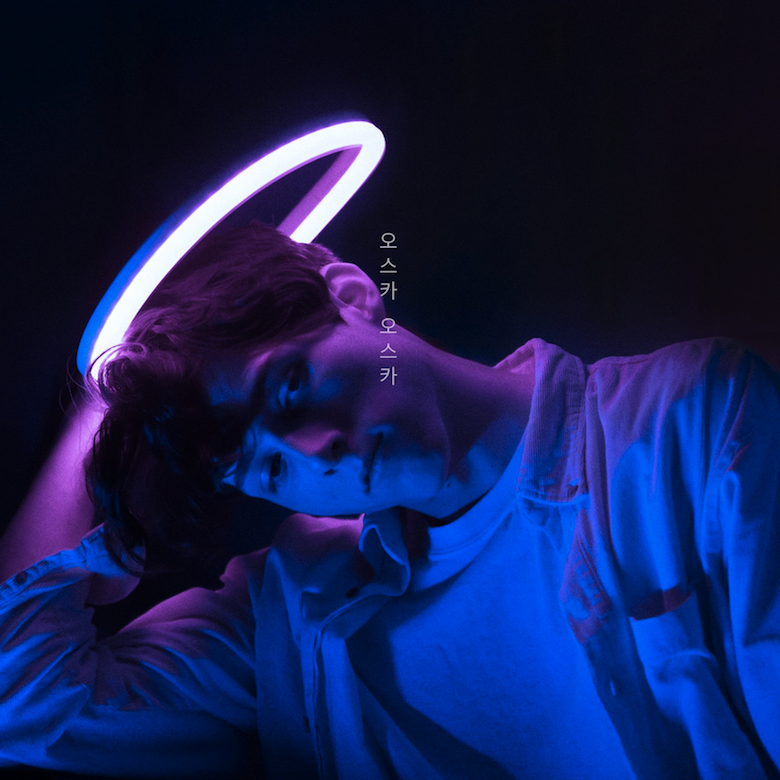 'Hey Ho' is all about texture, from the curved angularity of metallic percussion and the bright clinking strings of a sampled East Asian instrument, to the insectoid crinkling trickle crackle like white noise and the smooth satin of oscar oscar's voice itself folding its falsetto through the diverse soundscape. Texture, and the variety of it, sets this track ablaze with lightning intrigue. The noise that stands out the most in this slow bopping refreshing sluice of sound is that soft clonk of marimba, each note in the chord deliciously minutely out of time with others, producing a low-key audio instrumental version of a light slurring voice, just ever so slightly off, the reverb luscious, the sound so very organic, so very human: it's no wonder that this noise is often left to its own devices in the track, cradled between thudding kicks and tight snapping snares. The second half of the track is more about the samples, truncated snippets of oscar oscar's vocal like avian ad libs, as the song reaches its dissolution into its simplest elements towards the end, languorous and nocturnally downtrod as it began. 🔔 You can check out 'Hey Ho' on various streaming services here, courtesy of majestic casual records. 🔔 The dark and dramatically lit photography that graces the artwork for this track, and very suitably, is by fellow Brisbanite and photographer Bruce Truong. The Korean script says oseuka oseuka—oscar oscar. 🐣 ZIÚR — U FEEL ANYTHING?